Preoperative variables have been the focus of numerous bariatric surgery studies. Now a study looking at postoperative factors demonstrates that assessing weight management practices and eating behaviors after surgery, as well as problematic substance use, can significantly affect how much weight a patient loses. James E. Mitchell, MD, from the University of North Dakota School of Medicine and Health Sciences, Grand Forks, and colleagues published the results of the Longitudinal Assessment of Bariatric Surgery-2 (LABS-2) study online April 20 in JAMA Surgery. “In particular, the data suggest that developing positive changes in behavior, including ceasing negative behaviors or increasing positive behaviors, can affect the amount of weight loss,” the authors write. To maximize the favorable effects of bariatric surgery in severely obese adults, it is essential to identify factors that are associated with successful weight loss after surgery. Therefore, the authors conducted a study to evaluate postoperative predictors of the amount of weight loss after bariatric surgery in severely obese adults. The LABS-2 study included 2022 post–bariatric surgery patients, of whom 1513 had undergone Roux-en-Y gastric bypass (RYGB) and 509 had undergone laparoscopic adjustable gastric banding (LAGB). All participants were undergoing first-time bariatric surgery between March 2006 and April 2009, and were followed up until September 2012. Surveys were conducted on participants before surgery and then annually after surgery for 3 years. The surveys examined 25 postoperative behaviors that are considered modifiable, including those related to eating behaviors and problems, weight loss practices, and problematic substance use. The median age of study participants was 47 years, and the median body mass index was 46; 78% were women. Three years after bariatric surgery, the observed median percentage weight loss was 31.5% of baseline body weight for RYGB and 16.0% for LAGB. Among participants who underwent RYGB, three behaviors explained most of the variability (16%) in weight change at 3-year follow-up. In particular, participants who self-weighed weekly, stopped eating when feeling full, and stopped eating continuously throughout the day lost an average of 38.8% of their baseline weight. This was about 14% more than participants who did not use these behaviors (mean, −24.6%; mean difference, −14.2%; 95% confidence interval [CI], −18.7% to −9.8%; P < .001), and 6% more than those who had always used these healthy behaviors (mean, −33.2%; mean difference, −5.7%; 95% CI, −7.8% to −3.5%; P < .001). The authors therefore highlight the need for clinicians to target these behaviors in patients after they have undergone bariatric surgery. “[S]tructured programs to modify problematic eating behaviors and eating patterns following bariatric surgery should be evaluated as a method to improve weight outcomes among patients undergoing bariatric surgery,” they conclude. However, they also point out the difficulty faced by providers as they try to differentiate the effects of patient behavior from hormonal or genetic factors that may contribute to decreased weight loss after bariatric surgery. “Currently, we owe it to our patients to provide an infrastructure to maximize adherence to best practices, while taking care to avoid applying a one-size-fits-all approach,” they conclude. This study was supported by a cooperative agreement funded by the National Institute of Diabetes and Digestive and Kidney Diseases, with grants for the data coordinating center, Columbia University Medical Center (in collaboration with Cornell University Medical Center Clinical and Translational Research Center), University of Washington (in collaboration with the Diabetes Training Research Center), Neuropsychiatric Research Institute, East Carolina University, University of Pittsburgh Medical Center (in collaboration with Clinical Trials Research Services), and Oregon Health and Science University. The authors have disclosed no relevant financial relationships. Dr Ghaferi reported receiving research funding from the Agency for Healthcare Research and Quality, the National Institute of Aging, and the Patient Centered Outcomes Research Institute and receiving salary support from Blue Cross Blue Shield of Michigan as the director of the Michigan Bariatric Surgery Collaborative. The other editorialists have disclosed no relevant financial relationships. 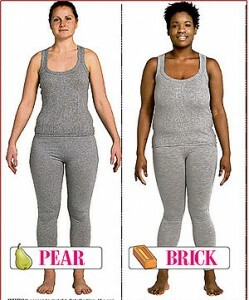 Bariatric Support News, South Africa. Bookmark. Do sweeteners promote fat accumulation in human fat? Where does your fat go when you lose it? Do Medical Aids Cover Gastric Bypass Operations? Laparoscopic Roux-en-Y gastric bypass vs. Laparoscopic adjustable gastric band. Question: What is Dumping Syndrome? 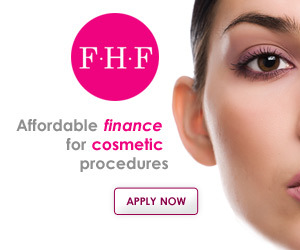 We are a credit provider offering loans for medical procedures including bariatric surgery. 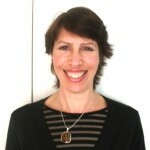 April 2012 News: Sandi is Our Champion! 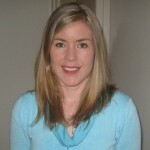 Introducing BariMate – your Mobile bariatric assistant – March 2012 Newsletter. 2012 Newsletter: Cheers to a new year and another chance for us to get it right! 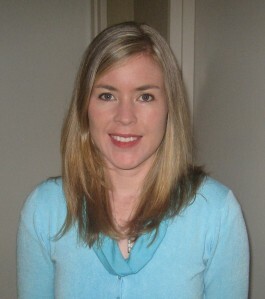 November 2011 Newsletter:  I had a Gastric Bypass…so now what? The Food Issue – all you need to know about bariatric eating! Almost a quarter of men and women in England and over a third of adults in America are obese. (In South Africa statistics on the percentage of overweight and obese people indicate that obesity and its co-morbidities are on the increase, with Cape Town leading the way!) Obesity increases the risk of diabetes and heart disease and can significantly shorten a person's life expectancy. New research published by BioMed Central's open access journal International Journal of Behavioral Nutrition and Physical Activity shows that improving body image can enhance the effectiveness of weight loss programs based on diet and exercise. Researchers from the Technical University of Lisbon and Bangor University enrolled overweight and obese women on a year-long weight loss program. Half the women were given general health information about good nutrition, stress management, and the importance of looking after yourself. The other half attended 30 weekly group sessions (the intervention plan) where issues such as exercise, emotional eating, improving body image and the recognition of, and how to overcome, personal barriers to weight loss and lapses from the diet were discussed. On the behavioral intervention plan women found that the way they thought about their body improved and that concerns about body shape and size were reduced. Compared to the control group they were better able to self-regulate their eating and they lost much more weight, losing on average 7% of their starting weight compared to less than 2% for the control group. Dr Teixeira from Technical University of Lisbon, who led the research, said, "Body image problems are very common amongst overweight and obese people, often leading to comfort eating and more rigid eating patterns, and are obstacles to losing weight. Our results showed a strong correlation between improvements in body image, especially in reducing anxiety about other peoples' opinions, and positive changes in eating behavior. From this we believe that learning to relate to your body in healthier ways is an important aspect of maintaining weight loss and should be addressed in every weight control program." Also known as bariatric surgery, weight loss surgery constitutes a number of procedures all with one goal in mind being weight loss for the patient suffering from obesity. Along with this primary goal, other effects from such procedures are an improvement in cardiovascular functions and decrease in associated risk or even full recovery from diabetes. 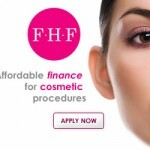 The procedures involved can either make use of specific apparatus or even altering of the digestive organs. By consuming the minimum amount of protein for your body, you maintain energy, muscle mass, and keep your hunger in check. The daily nutritional supplements we prescribe to you will have a positive effect on your long-term health, energy, and longevity. As your body burns calories, waste products are released through urine. Drinking at least 64 ounces of water daily helps release these waste products so they don’t build up and slow your metabolism. Getting the right amount of exercise is an essential part of successful long-term weight control and total well-being. Bariatric Surgery Support (BSS) is a Cape Town based Support Group for people seeking information and Support about Weight-Loss Surgery. We deal with a host of pre and post operation issues aimed at facilitating your journey to a healthier life style.